Sure, we might have taken a banana and pretended it was a phone before. We’re only human. But now we can put the produce away, since a real banana phone might be available if the company creating them meets their funding goal. We know what you’re probably thinking: “But, uh. I already have an iPhone that’s pretty incredible.” Well, the creators definitely thought of that. And that’s why the banana phone is Bluetooth-enabled. That means that it’ll work with your phone — you can just take your calls on the banana instead. The campaign is being held on Indiegogo, and one of the biggest draws is that you won’t get all of those annoying push notifications. We love the fact that the creators definitely have a sense of humor about the whole thing. We mean, they kind of have to be — they created a banana phone, and keep pushing the fact that the phone “has appeal.” Hehe. Also, 1% of sales will be going to a good organization — Gearing Up 4 Gorillas. (Gorillas know how important bananas are.) The organization helps support gorilla conservation in Virunga National Park. As of right now, the company is almost halfway to their goal — and they’ll be campaigning for another month. We definitely think this invention is quite useful if we just want to make a call, and not get bogged down with e-mails. Especially if they’re e-mails from the office after 5 p.m. on a Friday. 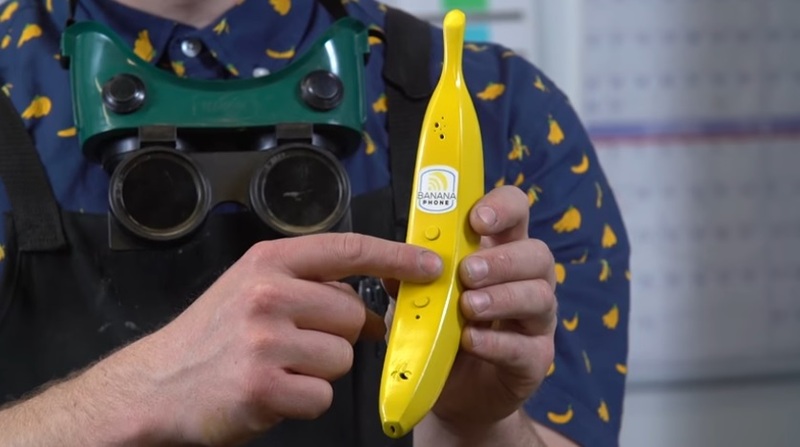 Fingers crossed that you’ll be able to chat with your besties through a banana very soon.